You are browsing the archive for 2018 October 12. Before the smoke has even cleared on the horrific disappearance of Jamal Khashoggi, Donald Trump Jr. is trying to delegitimize him. The disappearance of Saudi journalist and Washington Post columnist Jamal Khashoggi, and subsequent claims by the Turkish government that he was murdered by government officials in the Saudi consulate, has sickened the world, and prompted business leaders to suspend ties with Saudi Arabia. But President Donald Trump has been disturbingly distant from the incident, which has horrified journalists who fear the president is sending a message to rogue regimes that the United States does not care about the killing of overseas reporters. Only today did he agree to even talk to King Salman about the issue. Trump's right-wing defenders, on the other hand, have the most reprehensible response imaginable to justify the president's inaction: demonize Khashoggi as a terrorist sympathizer who didn't really deserve to live anyway. They are seizing on the fact that Khashoggi conducted interviews with al-Qaeda mastermind Osama bin Laden in the 80s and 90s as proof that he is friendly to al-Qaeda's goals. And one person who appears to completely agree with this is the president's eldest son. No one saw this coming in Texas. Republicans are going all in on voter suppression. Sharpton has having none of it. The Georgia gubernatorial race has been rocked by news that Brian Kemp, the Republican candidate for governor who also happens to be the secretary of state overseeing the election, has suspended the voter registration of 53,000 Georgians — 70 percent of whom are African-American — due to a draconian “exact match” verification policy that Kemp's office had previously been warned was discriminatory. Affected voters will not be completely barred from casting a ballot, but must take extra steps to verify their identity that most voters won't, potentially discouraging turnout of black voters. Given that Kemp's Democratic opponent, Stacey Abrams, just happens to be the first black woman nominated by a major party for a governor's race, the news sparked nationwide outrage, calls on Kemp by Abrams to resign as secretary of state, and a lawsuit from civil rights organizations. On MSNBC's “Deadline: White House,” Republican host Nicolle Wallace discussed the issue with Rev. Al Sharpton. “It seems like this isn't even voter suppression disguised as something else,” said Wallace. “Why wouldn't he recuse himself?” said Wallace. The backdrop of Trump’s expanding trade war with China hangs over us. Glance through the business section of any major media outlet, and there is apparently good news to start the autumn: The Bureau of Labor’s September numbers showed measured unemployment hitting a multi-decade low of 3.7 percent. The U.S. secured a revised trade agreement with Canada and Mexico. And wage growth, while rising, still remains a relatively moderate 2.8 percent at an annualized rate. Inflation remains comparatively muted for now, with an annualized one-month gain of 1.4 percent. It seems like the U.S. is experiencing the proverbial “Goldilocks” economy. What could possibly go wrong? For one thing, there remains the backdrop of America’s expanding trade war with Beijing. On the face of it, the successful conclusion of the new and improved NAFTA 2.0 (henceforth rechristened as the United States-Mexico-Canada Agreement, or USMCA for short) appears to have halted the political tide toward protectionism. Yet paradoxically, it might actually do the opposite: USMCA is designed to give greater weight to regional trade relationships at the expense of global ones, especially the colossal supply chain that has emanated from China. As trade becomes increasingly regionalized, as global supply chains are disrupted, that generally raises the cost of everything, for everyone. As the U.S. sent troops to the front lines, artists were recruited to encourage those at home to do their part. 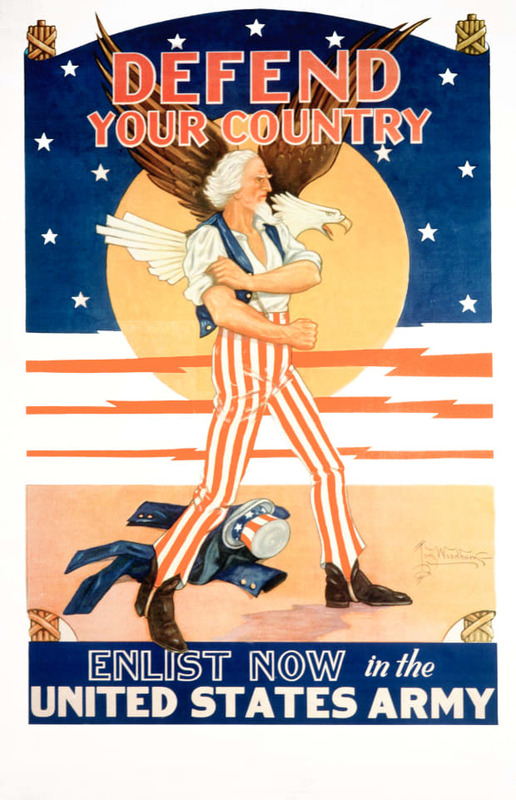 “Defend Your Country: Enlist Now in the United States Army” recruitment poster. When Britain and France went to war with Germany in 1939, Americans were divided over whether to join the war effort. It wouldn’t be until the surprise attacks on Pearl Harbor in December 1941 that the United States would be thrust into World War II. Once U.S. troops were sent to the front lines, hundreds of artists were put to work to create posters that would rally support on the home front. Citizens were invited to purchase war bonds and take on factory jobs to support production needs for the military. As men were sent to battlefields, women were asked to branch out and take on jobs as riveters, welders and electricians. To preserve resources for the war effort, posters championed carpooling to save on gas, warned against wasting food and urged people to collect scrap metal to recycle into military materials. In the spring of 1942, rationing programs were implemented that set limits on everyday purchases. While many posters touted positive patriotic messages, some tapped fear to rally support for the Allied side and caution against leaking information to spies. “Loose lips sink ships” became a famous saying. Meanwhile, graphic images depicted a blood-thirsty Adolph Hitler and racist imagery of Japanese people with sinister, exaggerated features. Today, the posters a offer a glimpse into the nation’s climate during World War II and how propaganda was used to link the home front to the front lines. Republicans crafted an ad blasting Democratic House candidate Dan Feehan for supporting Colin Kaepernick. There's just one problem. The National Republican Congressional Committee (NRCC) thought they had a perfect attack ad against Dan Feehan, the Democrat running in Minnesota's 1st Congressional District: attack him as unpatriotic for his support of NFL quarterback Colin Kaepernick's right to take a knee during the national anthem. But there's a rather obvious flaw in the ad: Feehan is in fact a decorated Army captain who did two tours of duty in Iraq, and then served as acting Assistant Secretary of Defense in the Pentagon. And even viewers of the NRCC's ad ought to have a clue about this, because in both tweets the ad displays onscreen, the hashtag “#veteransforKaepernick” can clearly be seen. Oops! 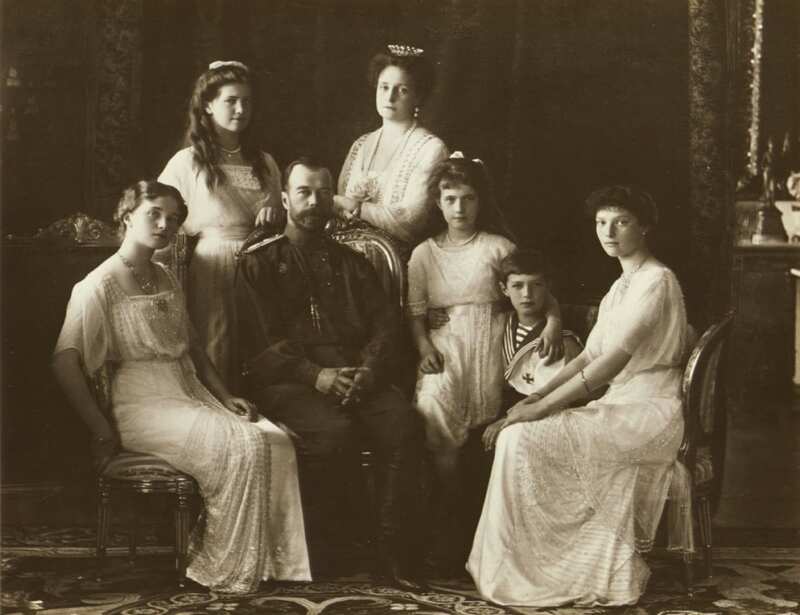 On the night of July 16, 1918, a Bolshevik assassination squad executed Czar Nicholas II, his wife, Alexandra, and their five children, putting an end to the Romanov family dynasty that had ruled Russia for more than three centuries. The murder of , where he was billed as Prince Alexander of Russia. Prince Michael of Kent at the United Nations, 2018. 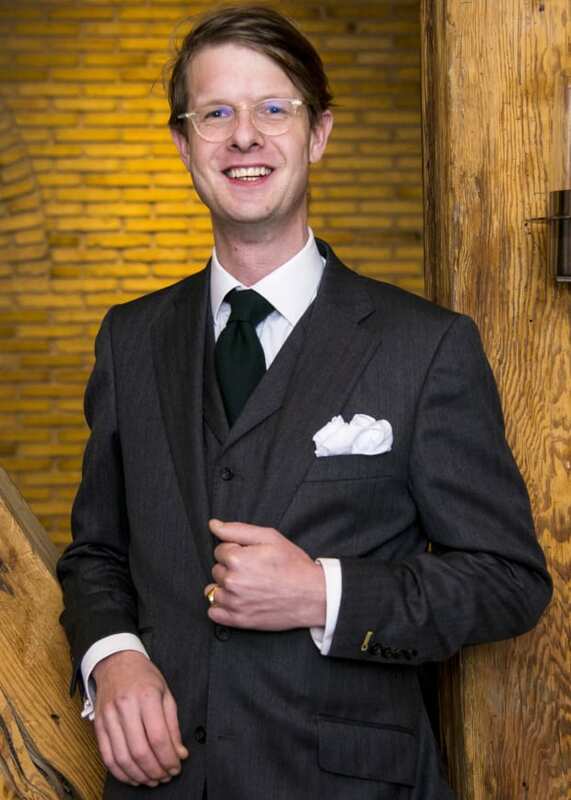 The great-grandson of Grand Duchess Xenia, Rostislav was born in Chicago and grew up in London. Unusually among Romanov descendants, he has also lived and worked extensively in Russia. An accomplished artist, he also works with the Raketa Watch Factory in St. Petersburg, founded by his ancestor Peter the Great. In 2017—the 100th anniversary of the Russian Revolution—he designed a special watch stained with a drop of his own blood to commemorate the bloodshed and sacrifice of the revolution and the violent end of Romanov rule in Russia. 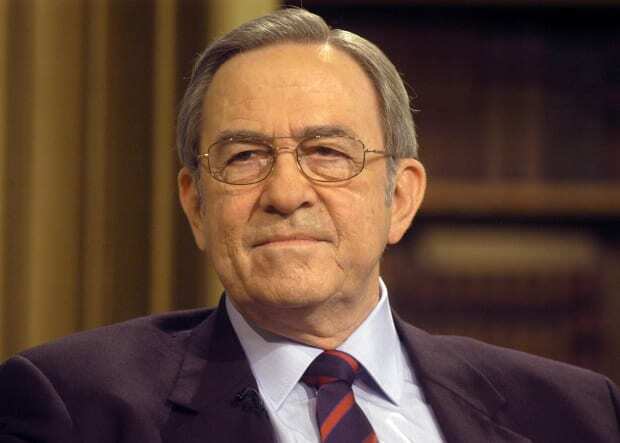 Former Greek King Constantine II, 2005. 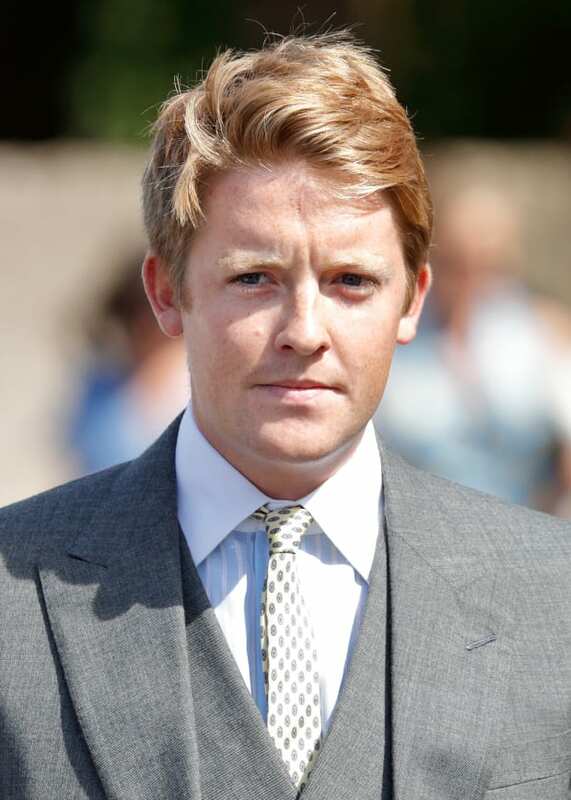 The king’s great-grandmother was a Romanov grand duchess, and his grandfather was King Constantine I of Greece, making him a cousin of Prince Philip, Duke of Edinburgh. In 1967, he fled from a military junta in Greece and lived in exile in London until 2013, when he moved back to Greece with his Danish-born wife, Anne-Marie. Government officials are not allowed to use their platforms for campaigning. Citizens for Responsibility and Ethics in Washington (CREW) has filed a complaint with the Office of Special Counsel, alleging that Sarah Huckabee Sanders—White House press secretary under the Trump Administration and daughter of former Arkansas Gov. Mike Huckabee—violated the Hatch Act of 1939 by tweeting a photo of herself with rapper Kanye West. Passed when Franklin Delano Roosevelt was president, the Hatch Act of 1939 was named after Sen. Carl Hatch of New Mexico and forbids most employees of the executive branch of the federal government from certain overtly partisan activities or communications (exceptions include the president and the vice-president). And CREW is alleging that Sanders’ tweet violated the Hatch Act because West was wearing a pro-Trump “Make America Great Again” hat in the photo. Of course, Twitter didn’t exist back in 1939. But it was amended in 2012 and now applies to more modern forms of technology—such as Twitter and other social media outlets. Hip-hop, over the years, has had its share of outspoken rappers who leaned to the left politically—including Public Enemy, Ice-T, KRS-1, N.W.A and 2 Black 2 Strong. During the Obama years, Peruvian rapper Immortal Technique showed up at Occupy Wall Street events and was a vocal supporter of the Occupy movement. But right-wing rappers have been the exception rather than the rule in hip-hop—and Kanye West has inspired a lot of debate in hip-hop with his unapologetic support of Donald Trump’s presidency. 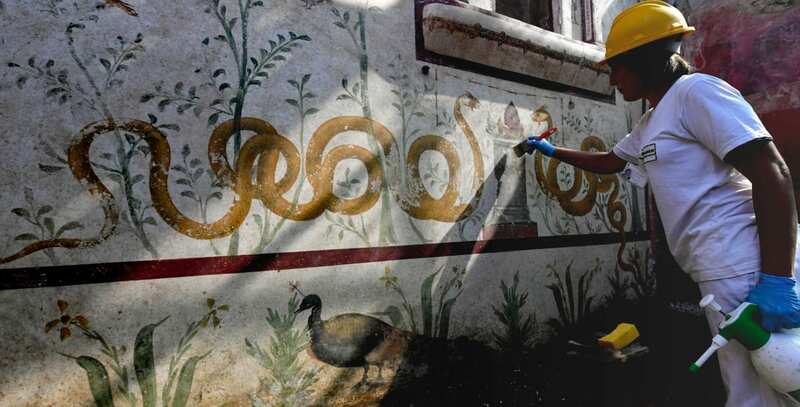 An archeologist working on a fresco in a house discovered during excavation works in Pompeii, Italy. Archaeologists have discovered an elaborate, perfectly preserved shrine in the wall of a house in that the residue inside the altar could be from food that also represented fertility, like figs, nuts or more eggs. The shrine itself, known as a lararium because it was built to honor the household spirits called lares, was a common feature of Roman households. But in addition to the vibrantly decorated shrine, the room also contained a raised pool as well as the garden, suggesting the home’s owners were among Pompeii’s more affluent residents. A view of the house of the Enchanted Garden that re-emerged, showing golden beasts fighting against a black boar like the evils of the world. 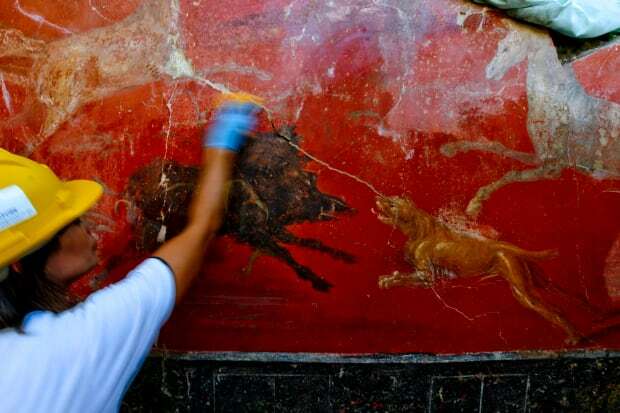 Another wall of the room is painted blood red, and features a painted hunting scene, with dogs chasing boar and deer. Another painting depicts a man with a dog’s head, which Rowland said might be a Romanized version of the Egyptian god Anubis. Though excavations at Pompeii began in the mid-18th century, those early archaeologists were often careless and did not document what they found. Because of this, Osanna told the Times, it can be difficult for archaeologists to know what paintings and artifacts found at Pompeii looked like when they were originally discovered. But the new discovery, of paintings left untouched since the eruption, offers a rare and tantalizing glimpse into the world frozen in time by that disaster—a world that, for thousands of people, disappeared in the space of an instant. virtually every street. There is no doubt who is in charge. years of horrid civil war reached even Damascus. was no friend of America, but if he lost, someone else would win.